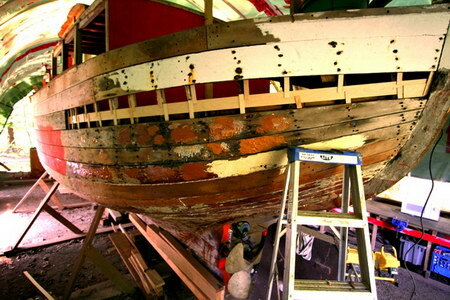 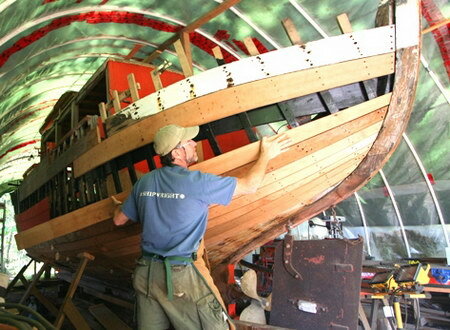 Restoration of a Fish boat on the property. 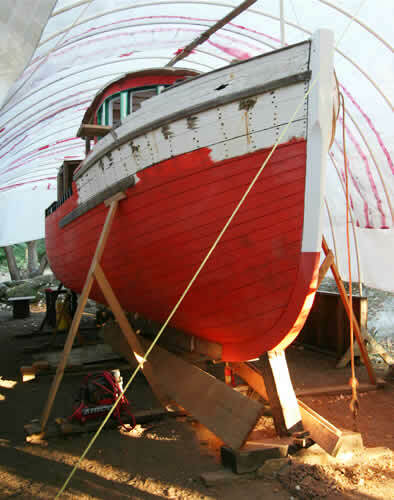 This boat is a 1949 double ender west coast fishing boat 32 ft long 10 ft beam cedar on oak being restored and converted to a cruising boat by Paul McManus. 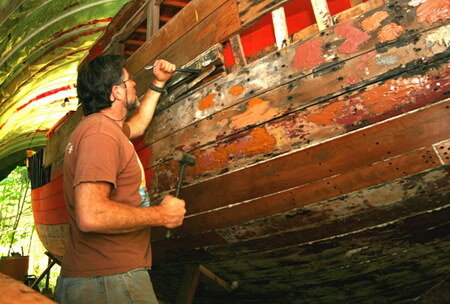 Removing the concrete from the aft end bilge. 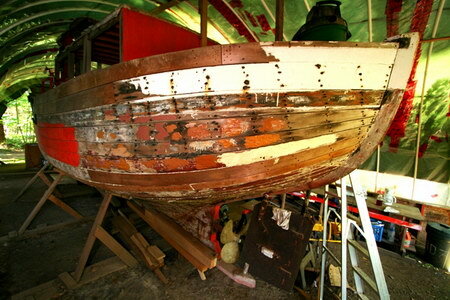 Aft end starboard planking that is in bad shape, planning out the repairs. 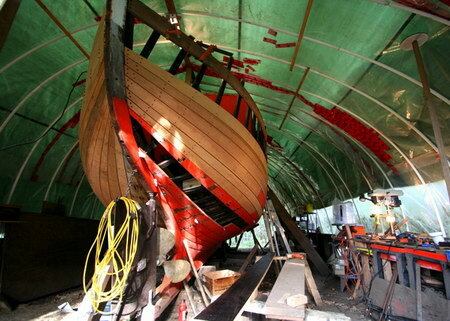 Spilling plank shape for making new replacement in the future. 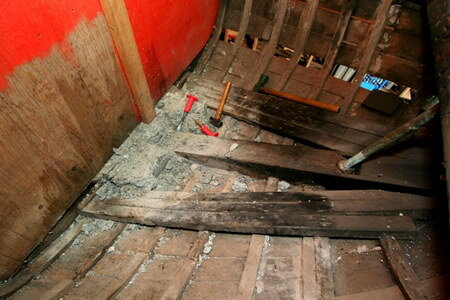 A bunch of planks taken off and exposing all the frames that are going to be replaced. 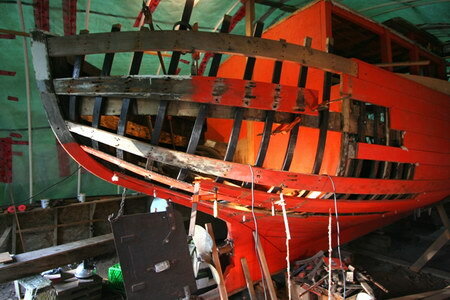 I am waiting in the boat for Paul, the boat owner, to bring me a steamed frame that will be installed. 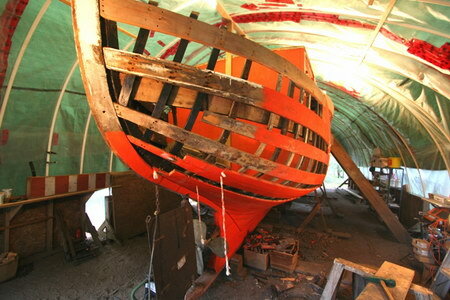 All new frames in the back starboard side. 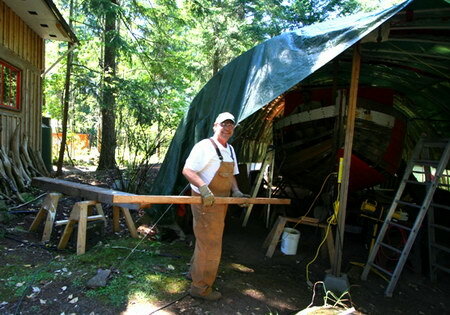 Almost finished the aft star planking, improvised clamping system to bring in the shutter plank. 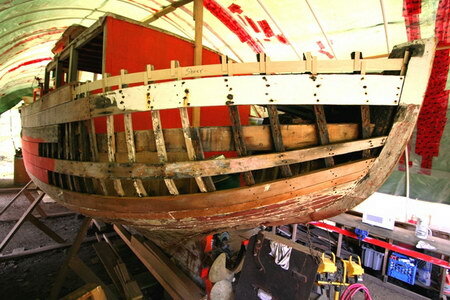 Starting on the port side aft, most planks are coming out but a few that are left in so as to keep the shape while new frames go in. 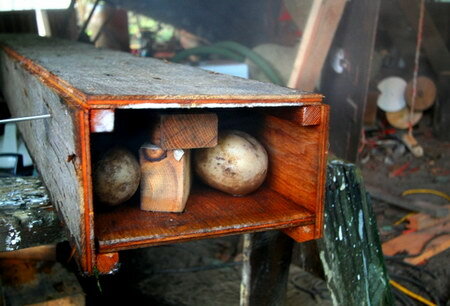 Cooking a few potatoes in the steam box for lunch. 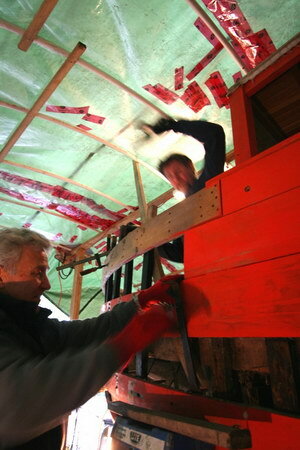 Having to move fast with a freshly steamed white oak frame, and getting some help from Cliff Rob. 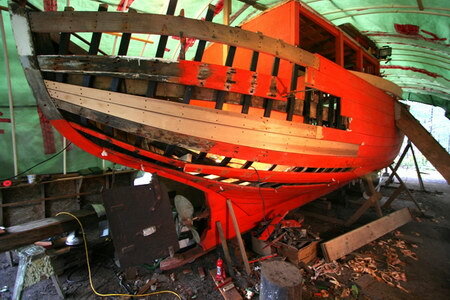 All new frames installed on the starboard side, they are painted with a black Ace of spades. 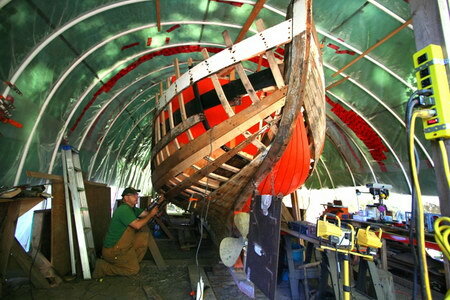 Starting to install new planking. 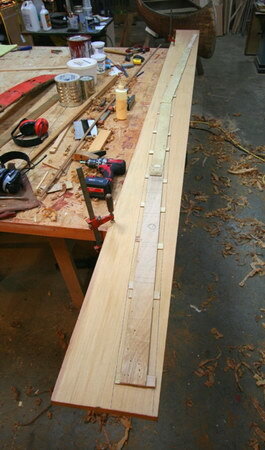 Laying out spilling pattern on cedar board for new plank. 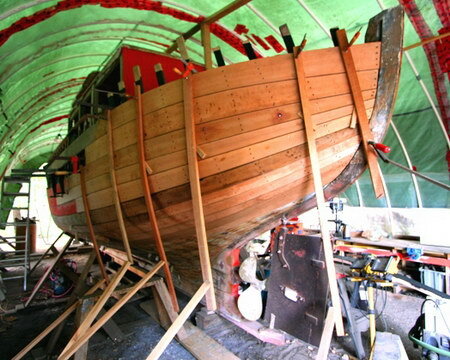 Bunch of new planking installed on the port side.